Doug founded RiverLink Advisors in 2010, following 25 years in the financial services industry. 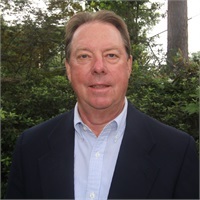 He began his career as a bond specialist at Capital Securities in Austin, TX and worked briefly at Shearson, Lehman, Hutton in Lafayette, LA before joining the Monroe, LA office of A.G. Edwards & Sons as a financial advisor, a tenure of 21 years. Doug was the branch manager at A.G. Edwards and its successor companies for 7 years before starting his independent company, RiverLink Advisors. Hobbies: Golf, gardening, reading, hunting, watching the St. Louis Cardinals!